and their words are real-ly clear. 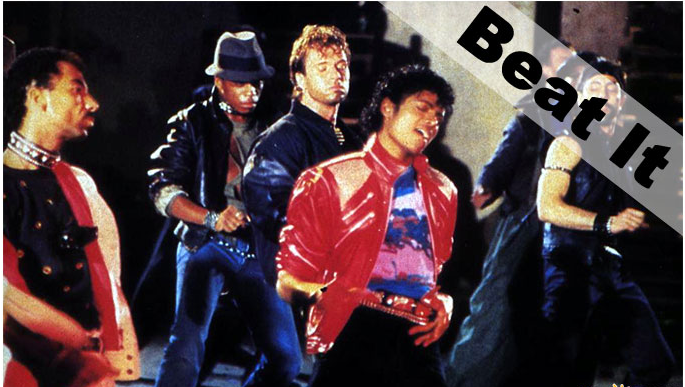 So beat it, just beat it. you better do what you can. don't be a mach-o man. bet-ter do what you can. So beat it, but you wan-na be bad. Just beat it (beat it), beat it (beat it). No one wants to be de-feat-ed. Show-in' how fun-ky strong it's your fight. It does-n't mat-ter who's wrong or right. Just beat it, just beat it.